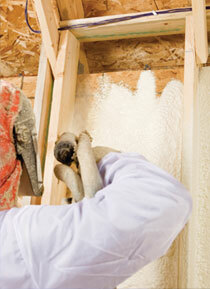 Spray Foam Insulation is simply the best insulation you can install in your home or building in Denver Colorado. It is estimated that up to 40% or more of your home's energy loss is due to air leakage through holes, cracks and gaps in the building structure. SPF can seal your home from air and moisture leakage, save on costly utility bills, strengthen your home, and help to protect your family's health from dangerous mold and airborne pollutants. Spray Foam is considered to be the Best Home and Commercial Insulation Available. 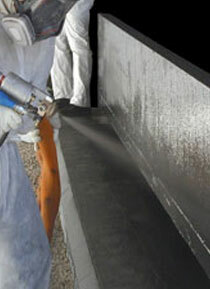 Spray Foam Roofing Systems provide durable and long-lasting protection for a building. 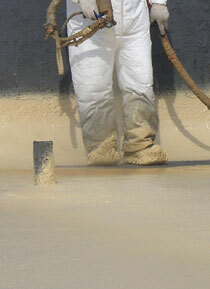 Polyurea protective coatings add an additional layer of protection to an existing SPF system. Our Denver spray foam contractors provide high-quality spray foam insulation services for residential and commercial applications and foam roofing services for industrial and commercial buildings near and throughout Colorado. We offer competitive spray foam insulation pricing in CO and ultimately help you save money on utility bills. Call us today at 1-855-GET-FOAM for a free quote or estimate.